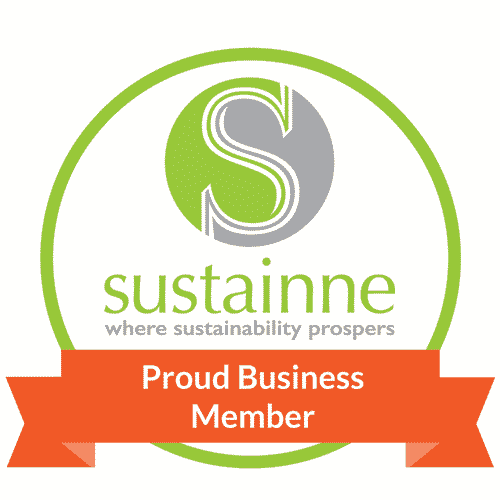 At Shearwater the integrity of our small batch organic coffee roasting process is built into our business’ core values. 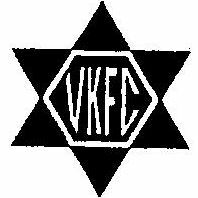 The result is 100% USDA Certified Organic roasted and certified Kosher*. We begin the roasting process of our artisanal brews with organic coffee beans imported from small coffee farms from Mexico, Central & South America, East Africa and Indonesia. The farmer-owners who provide our coffee beans are as committed to sustainability farming as we are to ensuring our roasting, serving and delivery processes minimize impact to the environment. Shearwater uses a highly energy efficient Diedrich IR-12 infra-read roaster designed to operate on less electricity than conventional roasters. 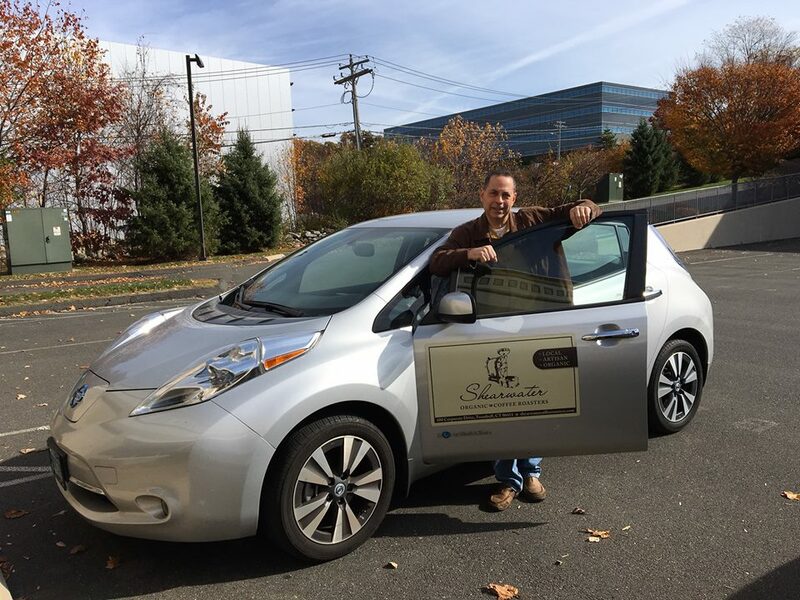 In Fairfield County we even deliver our fresh-roasted organic coffee to wholesale customers in a fully electric zero-emission vehicle. Ed Freedman, Owner Shearwater Organic Coffee Roasters, Ready to Deliver! Shearwater’s vision started with our founder Ed Freedman’s passion for organic coffee, his attention to detail and commitment to sustainability. When Shearwater opened of our family owned business in 2013, we were the only small batch organic coffee roaster in Fairfield County, Connecticut. 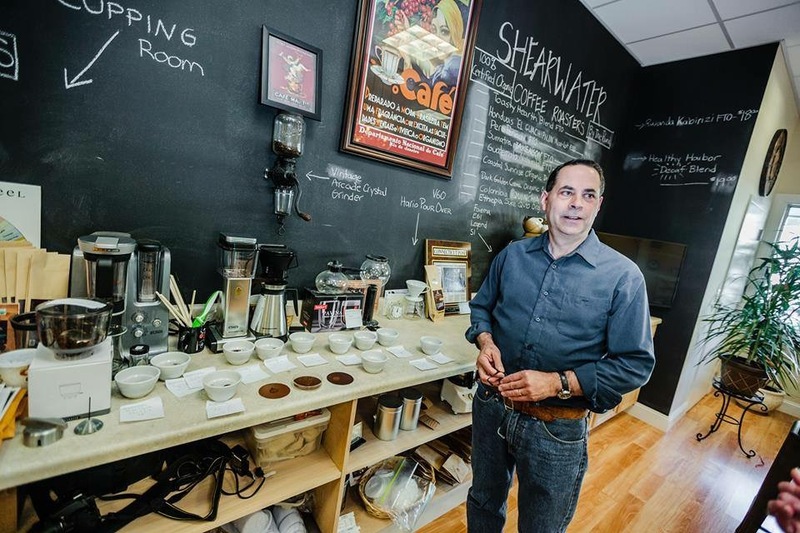 As an encore career, Ed was dedicated to bringing delectable and healthy coffee to our Fairfield County community. In addition, to the consumer market, restaurateurs, coffee bars, specialty stores and even food trucks began offering Shearwater’s high quality artisanal organic, small batch roasted coffee to their patrons. If you live in the Fairfield County area you can easily find our brands in stores like Whole Foods. Look for Shearwater coffee at regional events and food festivals too. Of course, if Fairfield County is too long a drive you can always order online. Coffee lovers were quick to take note of Shearwater’s dedication to excellence. Before long we were welcoming dedicated, repeat customers to our Fairfield County establishment and to our online store. 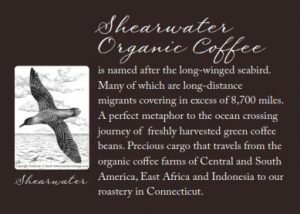 When you receive your first bag of Shearwater small batch roasted organic coffee you’ll see a Shearwater bird on the back of the package. These sea birds travel thousands of miles each year to coastal Connecticut. For us Shearwater was perfect name for our company. The sea bird combines courage with fortitude and reminds us of our commitment to ensure that our coffee is delivered to you with speed and integrity. We invite you to purchase Shearwater organic coffee on our online store, at numerous restaurants and stores in Connecticut and at our retail location. Be sure to say hi to our staff and founder Ed Freedman when you enjoy a sample of one of our delicious organic coffee blends. We are located at 100 Corporate Drive, Unit B106 (rear building), Trumbull, CT. 06611. We are open to the public Monday through Friday from 10 am to 4 pm; Closed Saturdays and Sundays. Please contact us by phone to visit the roastery during non-public hours: 203-292-0848 or by email at ed@shearwatercoffeeroasters.com. *Shearwater Organic Coffee Roasters complete line of packaged single origin and blended coffee beans (whole-bean and ground) are Certified Kosher and pareve, including Passover under the supervision of the VAAD HAKASHRUS of Fairfield County.